Promoted Eintracht Frankfurt have made a blistering start to the Bundesliga campaign, taking maximum points from their three games so far. Greuther Fürth over the summer, has played no small part in their success. Indeed, hitting the net in his side's 3-2 win over Hamburger SV on Matchday 3, crowned a remarkable, if unorthodox, rise to the top for the 27-time Canadian international - as he told bundesliga.com in an exclusive interview. Born in Quebec, Occean took his first professional steps in the US before moving to Europe as a 22-year-old. He joined Odd Grenland Skien in Norway, "a good step for me," he says now. After averaging almost a goal every two games, he caught the eye of five-time Elite League Champions Lilleström SK. In four seasons there, he cemented his reputation as one of the league's leading frontmen and in 2010 the opportunity arose for him to switch to the German game. "Germany has a great football tradition, they have terrific stadiums which are always packed with football-crazy fans," the 30-year-old goalgetter told us. A season with Kickers Offenbach was enough to convince Greuther Fürth of his qualities. In Franconia, Occean once again demonstrated his ability to adapt to new surroundings, scoring 17 times, with nine assists, in just 33 outings for the Clover Leaves. Indeed, integration was very much the buzzword last weekend, with Matchday 3 played out under the banner of the 'Go Your Way' project dedicated to that end. As a foreigner in the Bundesliga, Occean naturally has his own take on the subject. "I think Germany is an interesting country when it comes to that [integration]. First you need to learn the language, then you get a better feel for the culture. Everything else comes automatically." Despite winning the Bundesliga 2 title with Fürth last season, Occean opted to don Frankfurt's colours in the Bundesliga. "The club has a long tradition and that persuaded me to come. The fans also influenced my decision. Apart from that, the opportunity arose for me to play for a big club and you don't get those very often." Frankfurt have given credence to that monikerthus far, having downed Leverkusen and Hoffenheim as well as Hamburg. Up next are 1. 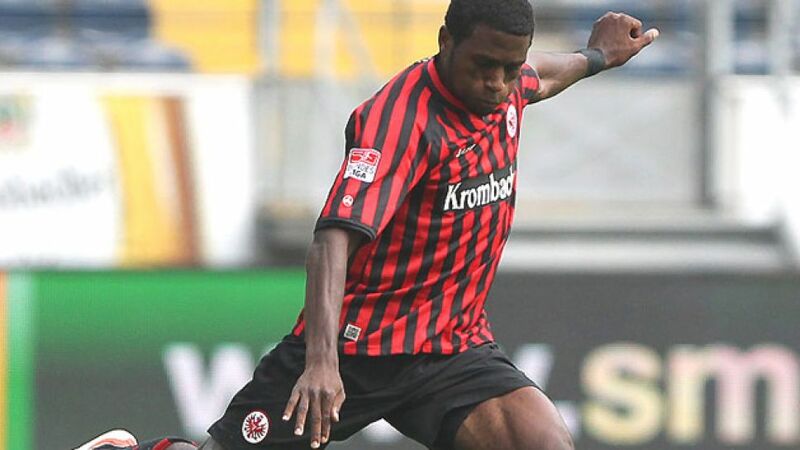 FC Nuremberg on Friday evening and Occean believes the winning streak can be maintained: "We've had a great start. Of course we can continue our run, anything is possible. We need to stick to our style of play - at the moment we're in great shape. " The Canadian frontman is by no means content to rest on his laurels however, noting, "I think there are always things you can improve as a team, things you can work on." It is telling though, that such is the confidence within the camp, even the prospect of facing on-form champions Borussia Dortmund on Matchday 5 does not appear excessively daunting. Occean believes there is a simple answer as to how to stop them: "By playing our own game."